With the victorious battle remembered yesterday, the armies moved on to Paris. 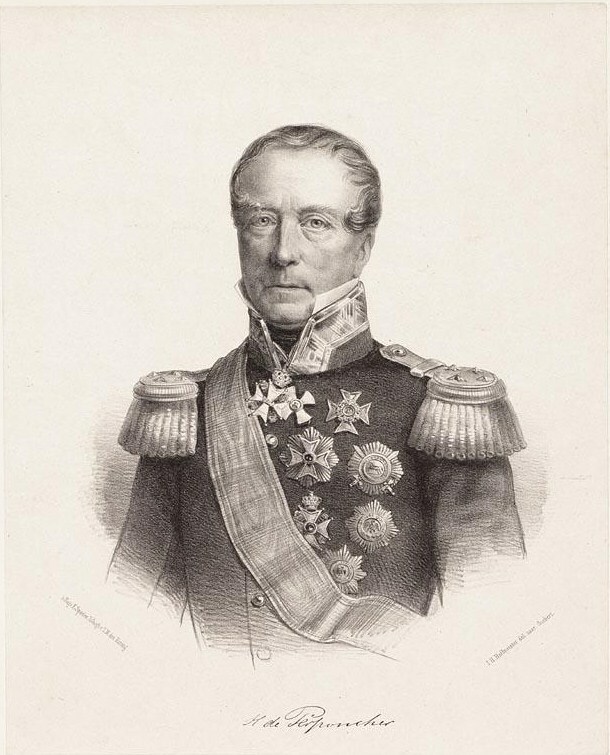 For the Netherlands troops it was Captain Charles Nepveu who brought them the order in the early hours of 19 June. Nepveu later wrote: I found myself on the evening at 11 p.m. by sheer accident at the side of the Duke of Wellington and Marshal Blücher at the moment they met eachother. Blücher did not speak French and Wellington no German, and they were obliged to have the congratulations on the victory of the battle translated. I went to pass the night between 1 and 3 at Waterloo, where I hoped to find general Constant. I had to take care myself of my horse, which was very fatigued. At 3 o'clock I left to search for the various corps of the Netherlands army to deliver them te order to move to Nivelles, where I arrived on the 19th at 8 o'clock in the morning. 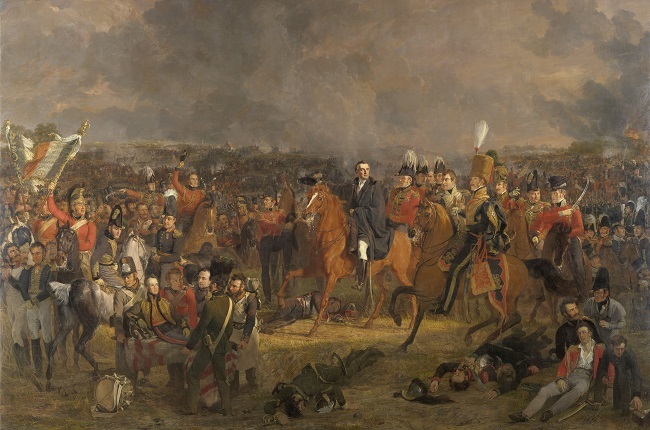 Waterloo 200: it is W-Day! And then it is W-Day, 18 June 2015. Enjoy the commemorations and our best book offer or browse through our e-Books! Each year the Dutch army faithfuly honours its fallen comrades of the 1815 campaign. Or to be more precise, gathers at the Dutch cavalry monument at the crossroads of Quatre Bras. Here all the officers and men from all cavalry corps serving in 1815 in the Netherlands army, both Dutch and Belgian, are remembered with military honour and distinction. These men gave their lives for the freedom of our once united kingdom and now two befriended nations. Fortunately this annual remembrance meant that the Dutch army in one small but nonetheless very important way was present on the battlegrounds of 1815 during these bicentanary days! Honouring our fallen heroes and commemorating the 1815 campaign. 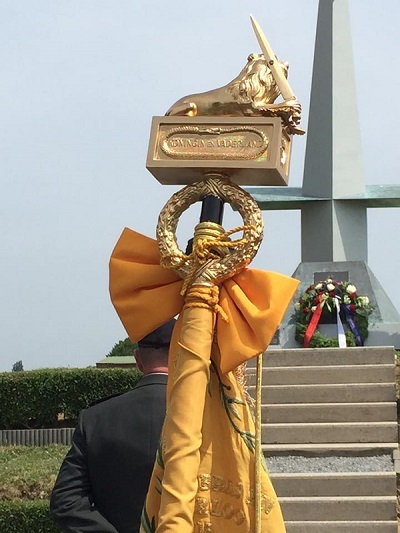 I am grateful here to use some of the photographs taken today on 17 June at the commemoration and published by General van Keulen, brigade commander of the 13th Light Brigade and Weapon eldest of the Cavalry in the Dutch army. Remembering is a shared value between us as civilians and our military men. Please, honour these fallen Dutch and Belgian men for a moment. And look further down here for this special annual moment. On this day all of Wellington's forces drew together towards two new positions, being the fields south of the hamlet Mont St. Jean and positions south of the town of Halle. 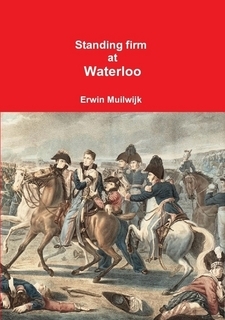 You can all read about the retreat in Volume Three "Standing firm at Waterloo". Two hundred years ago on this very own day the Battle of Quatre Bras was fought. If it had not been for a few defiant generals of the Netherlands army, no troops would have been present at all on this morning to oppose the further march towards Brussels by Marshal Ney's army corps. The previous evening the Duke of Wellngton had issued his orders top concentrate his divisions and the one commanded by General Perponcher was told to assemble at Nivelles. But that same evening the Nassau brigade had already met opposition just south of the crossroads of Quatre Bras. Its commander Colonel von Sachsen-Weimar informed his superiors about the instant threat.